Parkinson’s research has received a welcome boost through a $30 million Government investment, aiming to improve the life of people living with the disease and come a step closer to a cure. Announced this week, the Government will roll out the multi-million dollar investment over five years to the Garvan Institute of Medical Research’s Australian Parkinson Mission, to trial promising drugs to reduce the progression of the disease and allow those with Parkinson’s to live in their homes longer. “The Australian Parkinson’s Mission is a big step towards identifying the underlying cause of this devastating disease, treatments that stop the disease progressing and, ultimately, a cure,” Health Minister Greg Hunt says. Head of the Neurodegeneration and Neurogenomics Program at the Garvan Institute, Associate Professor Antony Cooper, says the Mission uses an entirely new design for Parkinson’s research. “The findings from our clinical trials will be integrated with analyses of patients’ genomic information and biomarkers – naturally occurring measurable indicators of a disease,” he says. Up to 1,000 Australians from Victoria, NSW and Queensland living with Parkinson’s will test the effectiveness of four repurposed drugs, revolutionising the understanding of Parkinson’s and identifying new treatment targets. Recognised as the second-most common neurodegenerative disorder in Australia, more than 100,000 Australians endure the disease’s progressive and debilitating symptoms. With almost 14,000 Australians diagnosed with the disease every year, without a medical breakthrough, this number is expected to double in 15 years. With no cure or existing drugs to slow or stop the disease progressing, Minister Hunt says there is an urgent need to identify drugs that stop or slow the disease. “Although the subject of significant research since the 1960s, the cause of Parkinson’s is largely unknown and current treatments only mask the symptoms,” he says. “Many of us have watched Parkinson’s disease wreak its havoc on our loved ones. Parkinson’s Australia Chief Executive Officer (CEO) Steve Sant says the funding is “the most significant investment” in Parkinson’s research in Australian history. “We applaud the Government for their innovative and forward-thinking actions to support this Australian-led international effort,” he says. Parkinson's South Australia CEO Olivia Nassaris agrees, saying the investment will “benefit the entire Parkinson's community” across the globe. 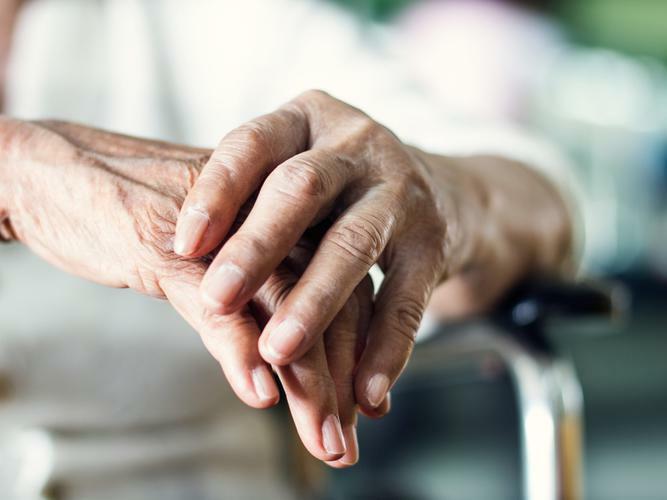 A further $6.8 million will be provided to Primary Health Networks over four years to improve access to specialised nursing care in the community for people living with movement disorders, including Parkinson’s disease. “Nurses play a critical role in preventing and managing chronic disease and in improving timely access to health care for Australian communities,” Minister Hunt says. The funding comes from the Government’s Medical Research Future Fund, which will mature at $20 billion, providing a sustainable source of funding for vital medical research. It will be rolled out nationally through leading capital city centres and extended into regional Australia, where possible, via a hub and spoke model.